It is the first weekend of March, so for southern Ontario cyclists that means it is time for the annual Toronto Bike Show. Bike shops offer deals on last year's stuff, and manufacturers show off the new products that are starting to appear in the stores. Today, the exhibitors were all busy setting up their booths, so we took a brief tour and some snapshots to show you what goes on in the background of a show. 1. Canadian Cyclist has teamed up with Café Domestique to bring you an in-show espresso bar, run by master barista Krys Hines. Besides great coffee, you can purchase beans from Krys, and a portion of all the proceeds will go towards the Forest City Velodrome. Drop by to chat and have a shot of espresso! 2. 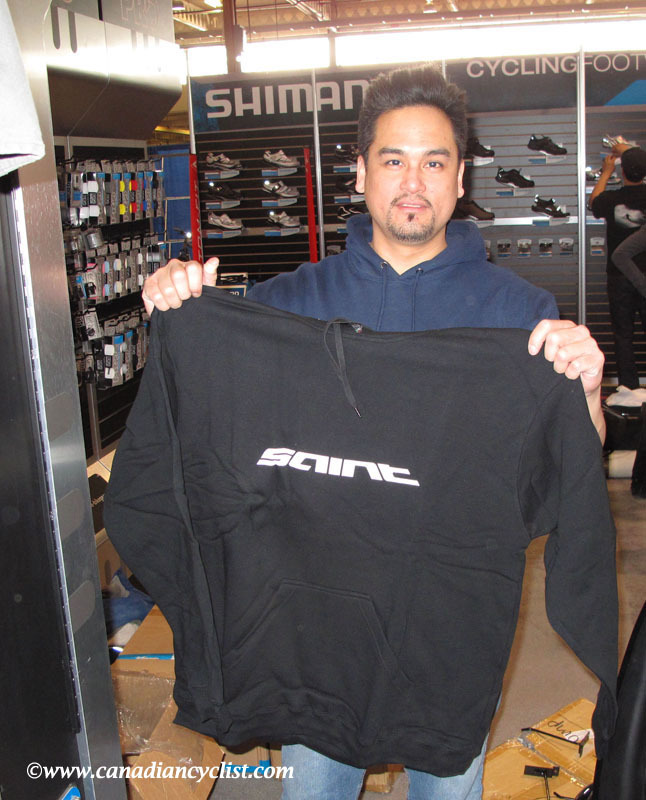 Shimano has a special offer to readers of Canadian Cyclist: They have a limited number of Saint hoodies and, if you go to their booth and tell them that Canadian Cyclist sent you, they will give you one for free - this is the only way to get one of these hoodies. Quantities are limited, so make it one of your first stops at the show.